A friend inherited a quince tree in her back yard when they moved into their house. She offered to let me pick however many I wanted as they were just going to waste. I was at her front door the very next morning with paper bags in hand. I picked about half of a grocery sack full of the extremely sour, very hard fruit, with bold dreams of coming home and processing them into something my family would actually like. I'm proud to report that I totally nailed it! It's not just a spread either, it's also an amazing applesauce type substance that, when paired with whipped maple coconut cream, is to die for. 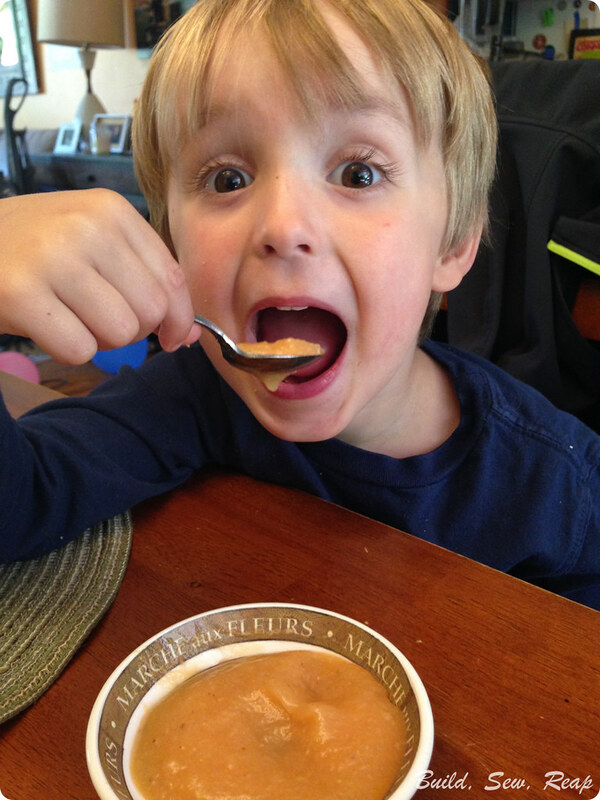 I created a recipe from scratch that ended up bringing big smiles to my boys' faces as I served them the spread in little bowls with spoons. 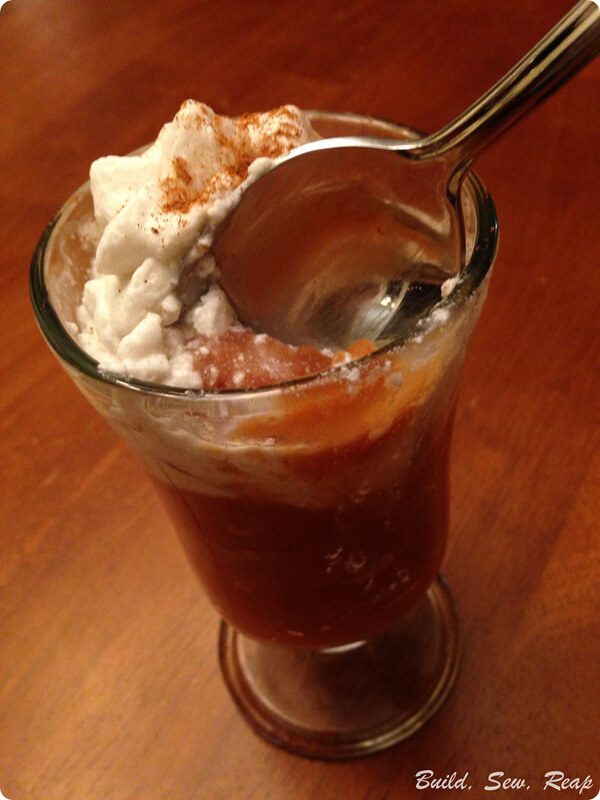 This turned out the consistency of thick applesauce with just the right balance of tart and sweet. We enjoyed it on graham crackers and toast too. Oh boy, my mouth is watering just thinking about it right now. Start by putting the cup of water in the electric pressure cooker and turn it on to saute so the water starts to get warm. While that's heating up, chop up the quince, removing any decaying flesh (I had a few bugs to deal with) and the core. Toss all those in with the hot water, turn off your cooker, lock the lid on, then set it to manual high pressure for 8 minutes. Now, I did 2 batches, one batch I set up then went to pick up a kiddo from school and let it do the natural pressure release thing for 20 minutes (it kept it warm too). The second time, I ditched the pot for an hour and 20 minutes. The second batch was a little sweeter but I don't think it made a huge difference. I guess the moral of this story is that you should let it do the natural pressure release but beyond that, timing is pretty flexible. I would expect that you'd have about 4 cups of quince at this point. If you don't, adjust the maple syrup up or down, this isn't an exact science. 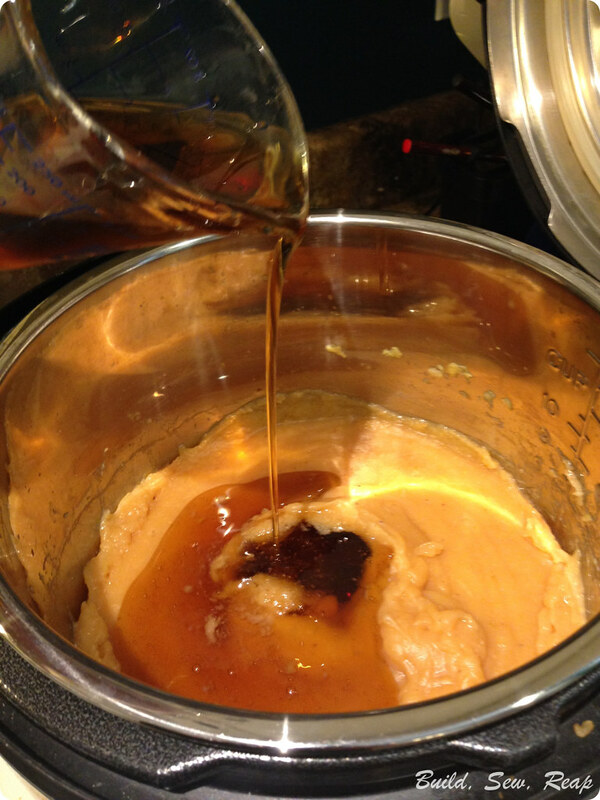 Pour the maple syrup (and optional cinnamon) into the quince then mix it all right there with an immersion blender. If you don't have one, you could try a food processor, whisk, blender, etc. I'd love for you to report back if you need to go another route. Taste and add more maple syrup if it's not sweet enough for you. This was exactly how we liked it. 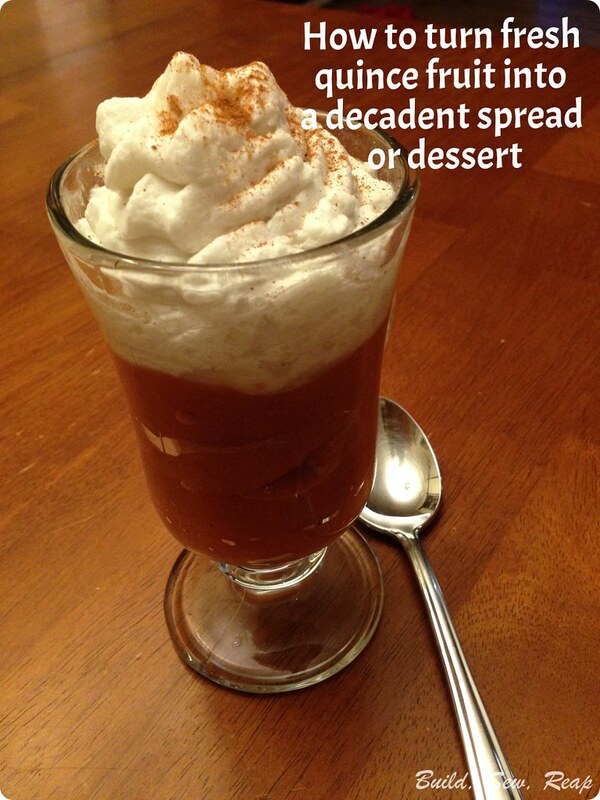 In fact, we liked it enough to eat it with a spoon. 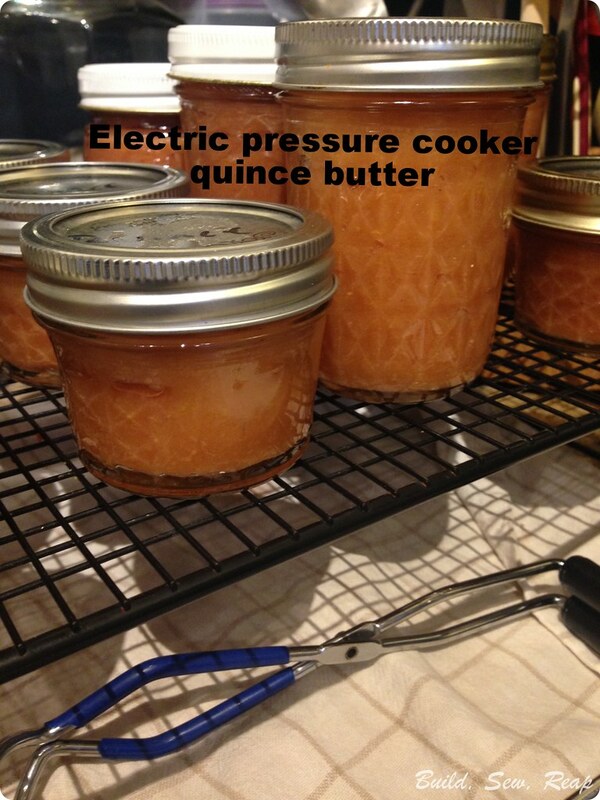 You can certainly stop there and eat all the yummy quince butter/sauce without saving some for later in the season. I figured out that the version with cinnamon is excellent when topped with whipped maple coconut cream (coconut milk from the can + maple syrup in the Isi whipper) then sprinkled with a little more cinnamon. I've had this for dessert (ok, and breakfast) the past couple of days. I'm hot water canning all this lovely bounty. I've read that the quince is very acidic (this is obvious from the taste too) but to be on the safe side, I'm hot water canning them for 15 minutes, the same as applesauce. Fingers crossed this does the trick.